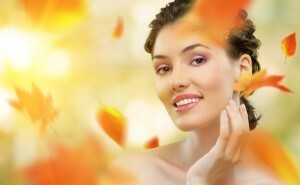 With summer coming to a close, now is a great time to start thinking about preparing your skin for the cooler months. Summer can be hard on your skin. If you don’t remain diligent in your skincare regime, you could pay for it later – in the form of hyperpigmentation, fine lines, and wrinkles. This is why we provide several options for you to combat the negative effects that the sun plays on your skin. The Graivier Center provides you with options that can help you recover from the harsh summer months and prepare you for the cooler days ahead. If you were less than vigilant with the sunscreen this summer or you’re just curious about undoing earlier damage, we recommend you make an appointment to meet with our renowned team of medical aestheticians led by Jill Garver, Master Aesthetician and MedSpa Manager. Consultations are complimentary. Let the team of experts at The Graivier Center customize a personalized treatment plan to make your skin healthy and radiant.